Autism can be a very difficult problem to face and cope with. Environmental and genetic factors seem to cause this serious disorder and in the following text, we will talk about the steps you can take to cope with it. Siblings are very important people, healthy relationship with them is very important, and it is something that can bring us so many tears and laughter. Siblings will always be there for you and help if you have any troubles or distresses. You sibling can be a victim of autism and if you are close with this person, you will want to know how you can help. We will mention a few facts that can prove to be useful in this situation. Autistic people tend to have some activities, like dressing and other activities people do every day, repeated several times for a certain period and they become somewhat ritualistic. So some persons with autism can perform head banging leading to self-injury, others tend to organize flowers very meticulously but also in uncontrollable way, while some may have problem with accepting a change. These are some of the activities autistic persons can exhibit. People who do not suffer from autism do not understand these problems and sometimes they are not too compassionate about autistic people. But we have to be strong and cope with the problems our siblings have, so we can help them in dressing, eating or performing any other daily activity. Also, supervision is a great help and in some cases, it is even more important than assistance. 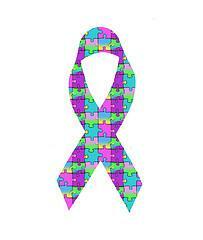 Try to find as much information about autism as you can so that you get familiar with this disorder. This is the first thing you need to do. Find people who have experience in this field. Communication is very important so try to talk with them in a normal way and avoid talking to them in a manner you would with a child. Never curse, shout, yell or make other negative and violent comments to an autistic person. Autistic persons want to have a loving connection with people so try to make one. Make them feel loved and try to do things your sibling likes to do. You can go and visit your sibling at school and give support that way. Behavior of the autistic person must be understood so that you calm him or her down when feelings of agitation arise due to frustration and stress. Slowly and tenderly aid you sibling in trouble. Some persons have problems due to the autistic sibling, but this is a wrong attitude. You have to accept that your sibling has a problem and this can make you a stronger and better person. Do not talk about your sibling with shame but be proud. Is it true that xposure to lead can cause autism?